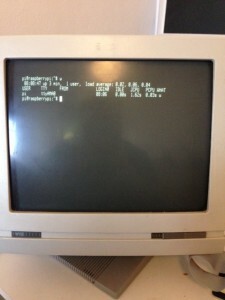 This post talks about how I connected my Raspberry Pi to a WYSE 60 terminal. The terminal speaks RS232 level, +/- 12v, but the Pi speaks 3.3v TTL levels so some sort of converter is needed to adapt the signalling levels. A logic level converter won’t work as RS232 signalling needs negative voltages as well. 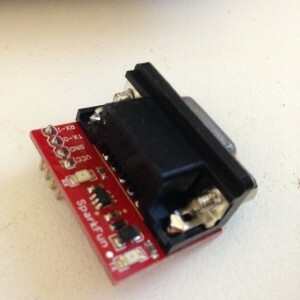 Fortunately Sparkfun sell a great little kit called the RS232 Shifter Board Kit which converts TTL to RS232 levels. The picture on the left is the SMD version which comes pre made, I also bought the kit version which I am using to connect the RPi. I believe they are identical in function. The next issue is connecting the terminal to the level shifter. 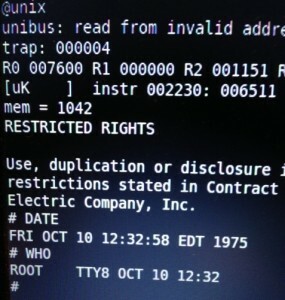 Luckily because the WYSE terminal is hard wired to be a DTE, the RPi falls naturally into its role as a DCE. What does this mean ? It means I didn’t need to build a null modem cable, a short cable to extend the DB9 connector around to the back of the terminal (where I have a DB-9 to DB-25 adapter) was all that was necessary. A quick trip to Jaycar and I had a few feet of ribbon cable and some DB-9 ribbon cable connectors. Just match up pin 1 on both ends then hammer the plastic bracket to crimp the ribbon cable into the housing. 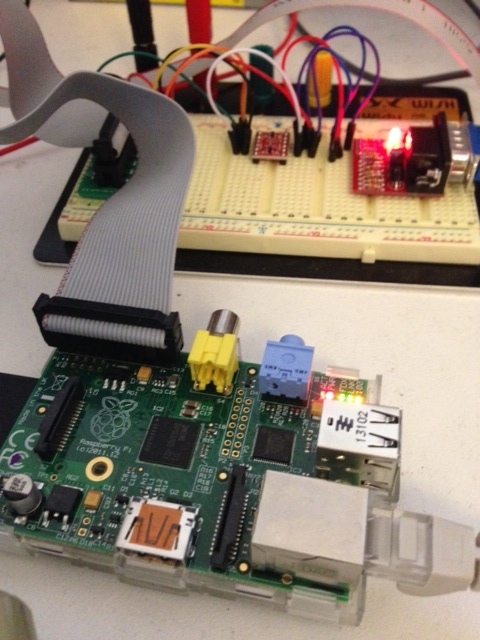 The image on the left shows how I wired up the RS232 converter to my Pi. The Pi is connected via a ribbon cable on the P1 header to a breakout connector which lets me plug it into a breadboard. In the image on the right you can see the breakout board which lets me tap into the various pins on the P1 header easily. I’m also providing power to the Pi over the P1 header via the breadboard and my Dangerous Prototypes ATX breakout board. Between the RS232 converter and the Pi is a level shifter which is translating 3.3v TTL levels from the TX and RX pins to 5v. In theory this shouldn’t be necessary as the RS232 converter is supposed to be able to handle voltages as low as 2.8v but is really designed for interfacing with Arduinos, so shifting the RX and TX signals up to 5v couldn’t hurt. 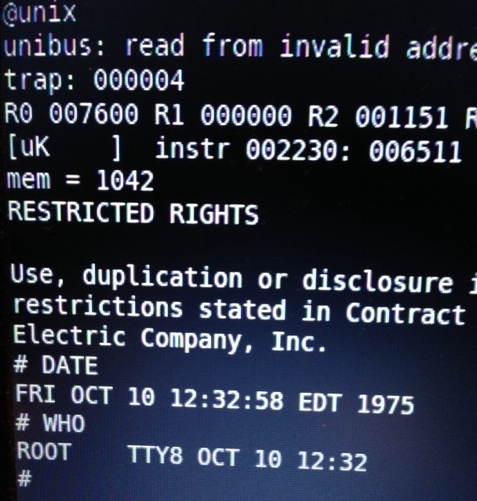 /boot/cmdline.txt, update the two references to 115200 to 19200. /etc/inittab, updating the line at the bottom, referencing ttyAMA0 to also be 19200. And that is it. Hook everything up and reboot. 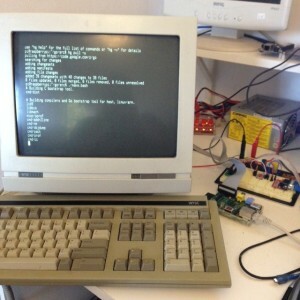 I posted a short video of the RPi booting up on instragram. 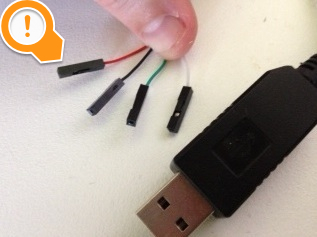 So, why would you want to do this when PL2303 serial to USB adapters are cheap and available? Well, there is no good reason, apart from it was there, and I had the parts. This entry was posted in Hardware Hacking and tagged raspberry pi on January 5, 2014 by Dave Cheney. 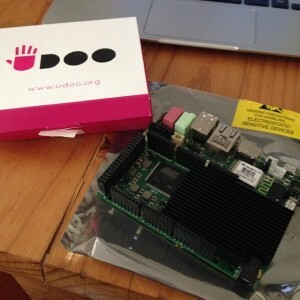 I recently purchased a Beaglebone Black (BBB) as a replacement for a Raspberry Pi which was providing the freebsd/arm builder for the Go build dashboard. 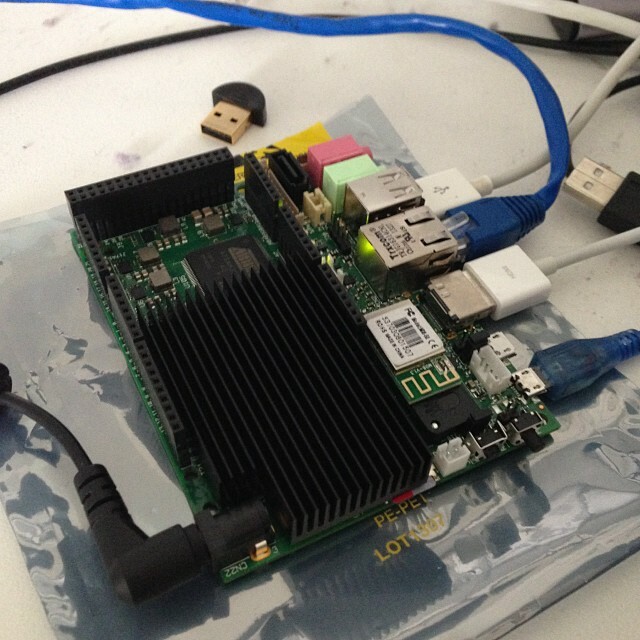 Sadly the old RPi didn’t work out. I’m hoping the BBB will be a better match, faster, and more reliable. 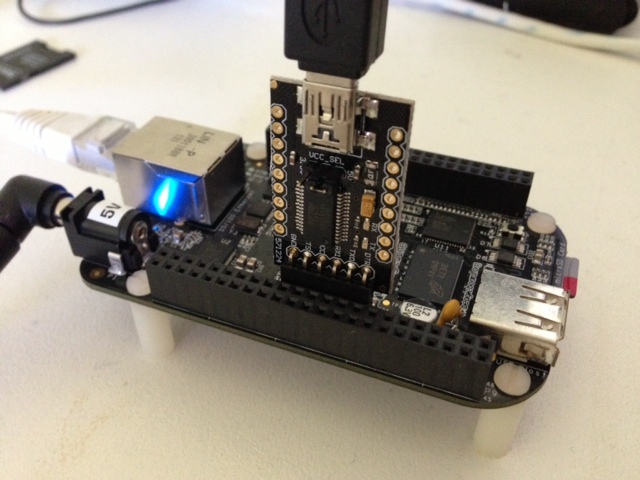 The BBB is a substantial upgrade to the original Beaglebone for a couple of reasons. The first is obviously the price. At less than $50 bucks AUD in my hand, it offers substantially better value for money than the original BB. This drive towards a lower price point is clearly a reaction to Arduinos and the Raspberry Pi. Having now owned both I can see the value the original BB offered, it’s a much better integrated package, but newcomers to embedded systems will vote with their wallets. Secondly, the new BBB comes with 512mb of RAM onboard, up from the 256mb of its predecessor. For a freebsd/arm builder, this is very important. You also get 2gb of eMMc flash onboard, which comes preinstalled with Angstrom Linux. Lastly, the processor has been bumped from 720Mhz to 1Ghz, providing you can provide sufficient current. 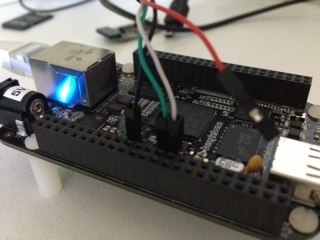 Of the original Beaglebone features that were cut were JTAG and serial over USB. This last point, the lack of a serial port, is the focus of the remainder of this article. 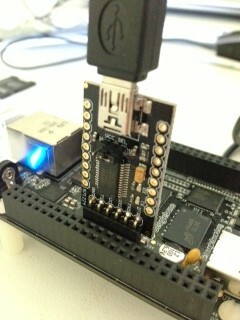 The Beaglebone Black serial port is available via the J1 header. This picture is upside down with respect to the pin numbers, pin 1 is on the right and pin 6 is on the left. Method number one, the FTDI USB to Serial adapter. 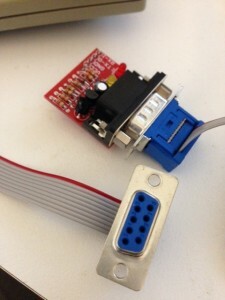 The first, simplest, and most recommended method of connecting to your BBB is via an FTDI USB to Serial adapter. These come in all shapes and sizes, some built into the USB A plug, others like this one are just the bare board. If you’ve done any Arduino programming you’ve probably got a slew of these little things in your kit. I got mine from Little Bird Electronics for $16 bucks. The FTDI adapter can do more than just level convert between USB and the BBB’s 3.3 volt signals. This one can provide power from the USB host at either 3.3 or 5 volt as well as provides breakouts for the other RS232 signals. 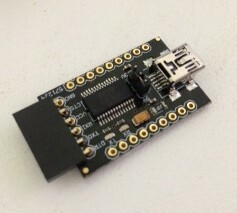 Normally avoiding the power supply built into the FTDI adapter would be a problem, but the designers of the BBB have already thought of this and made it super simple to directly connect the FTDI adapter, or cable, to the BBB. Simply put, although the male header on the BBB matches the FTDI adapter, only pins 1, 4 and 5 are actually connected on the board. This means you don’t have to worry about Vcc on pin 3 of the FTDI adapter as the pin on the BBB is not connected. 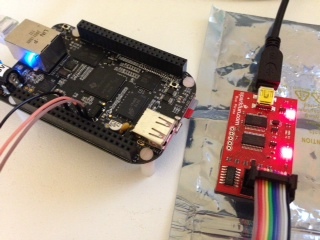 The second method is similar to the previous, but this time using a Prolific Technologies PL2303 USB to Serial cable. This cable is very common if you’ve used the Raspberry Pi. 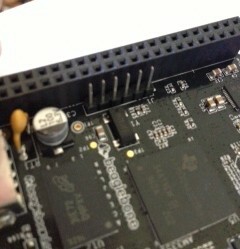 I got my first one from Adafruit, but I’ve since received a few more as part of other dev board kits. You can even make your own by cutting the ends of old Nokia DKU-5 cables. Irrespective all the cables use the Prolific Technology PL2303 chipset. The drawback of the PL2303 is the red wire, this carries +5v from the USB port and can blow the arse out of your BBB. Strictly speaking it can blow up you RPi with this cable if you aren’t careful, but in the case of the BBB, there is no safe pin to connect it; you must leave it unconnected. To hook up your BBB using the PL2303 connect the black, ground lead to pin 1 on the J1 header, the green RX lead to pin 4, and the white TX lead to pin 5. Do not connect the red lead to anything! This last method isn’t really practical as most people are unlikely to have a Bus Pirate, or if they do, they’ll probably also have an FTDI or PL2303 cable knocking about. Independent of which method to wire up your serial console, you’ll need to connect to it with some terminal software. I recommend using screen(1) for this, although some people prefer minicom(1). If you’re on Windows I think your options are limited to Teraterm Pro, but that is about all I know. Which will start a new screen session at the almost universal speed of 115200 baud. The name of your USB device depends on your operating system. To quit screen, hit control-a then k.
If you are using Linux, every modern distribution has drivers for the PL2302 and FTDI, nothing is required, but check dmesg(1) for the name of your device. If you are using OS X, you will neither device is supported out of the box so you will have to download and install the drivers. 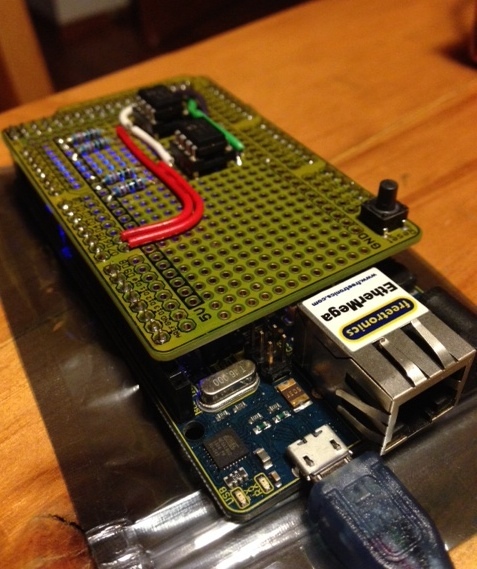 For the PL2303, I recommend the instructions from the Adafruit website. For the FTDI the best source of drives is the Future Technologies website. On Linux, the device will be /dev/ttyUSB0 reguardless of the type of cable you are using. On OS X, the name of the device depends on its driver. 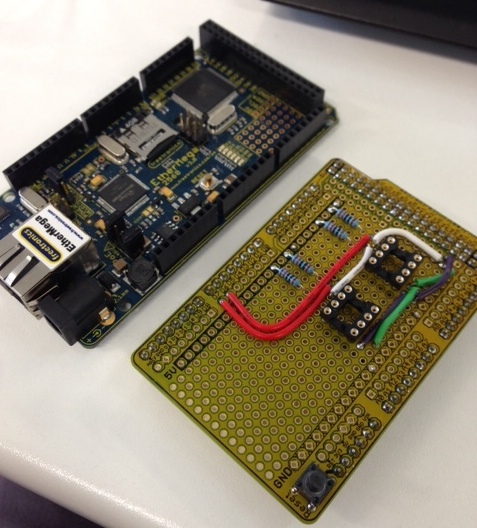 For the FTDI driver, the device will start with /dev/tty.usbserial, eg, tty.usbserial-AD01U7TH. 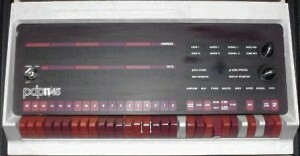 For the PL2303 driver, the device will start with /dev/tty.PL2303, eg. tty.PL2303-000012FD. Should I actually get freebsd/arm up and building on the BBB, I’ll make a separate post about that. 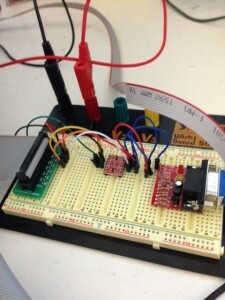 This entry was posted in Hardware Hacking and tagged beaglebone, beaglebone black, FTDI, serial on September 22, 2013 by Dave Cheney. 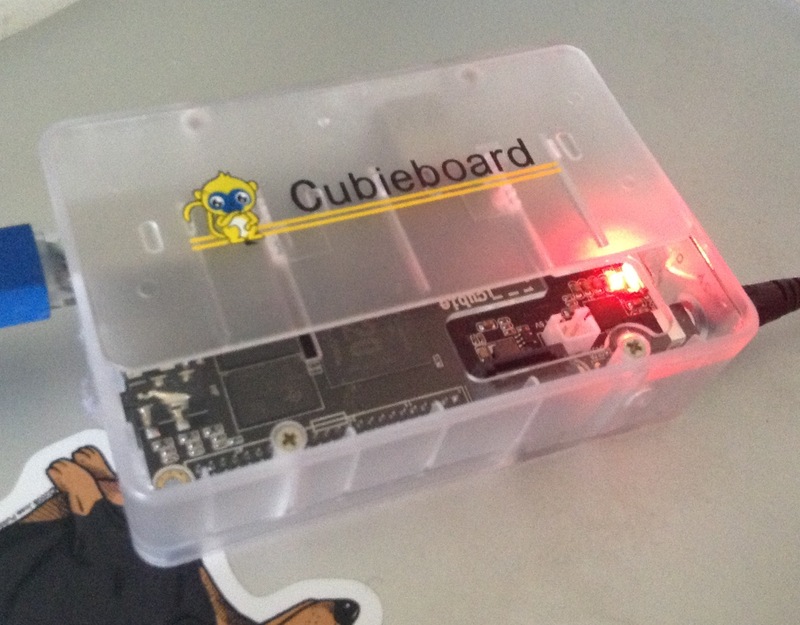 Thanks to Little Bird Electronics I just picked up the recently released Cubieboard 2. For less than 90 bucks Australian you get the case, 4Gb of onboard NAND flash, a USB to serial adapter, USB to power adapter (althought you should use a real wall wart), and an adapter for the onboard SATA port which can driver the 5 volt rail of a 2.5″ drive directly from the board! This blows the old iMX.53 loco into the weeds. If you compare that to my OMAP4 based pandaboard, Go 1.1 performance is 5 to 10 % better. Not bad. This entry was posted in Go, Hardware Hacking and tagged cubieboard, cubieboard 2 on August 6, 2013 by Dave Cheney.